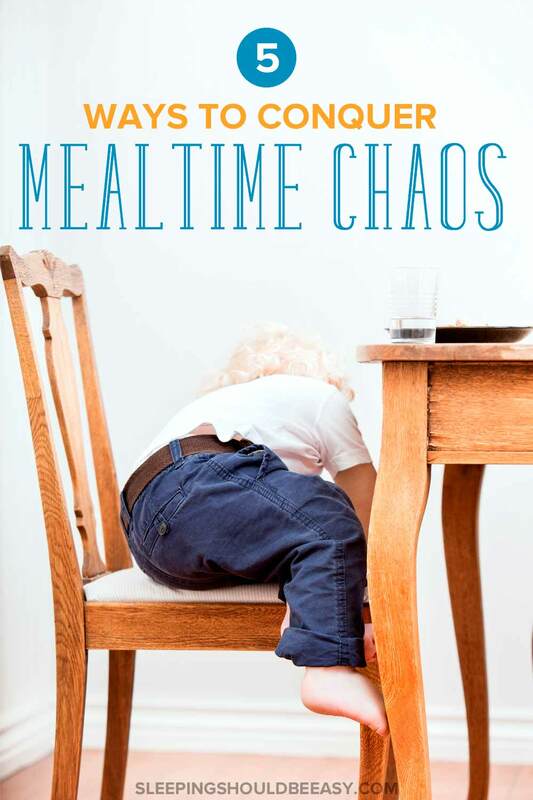 Struggling with mealtime chaos with the kids? 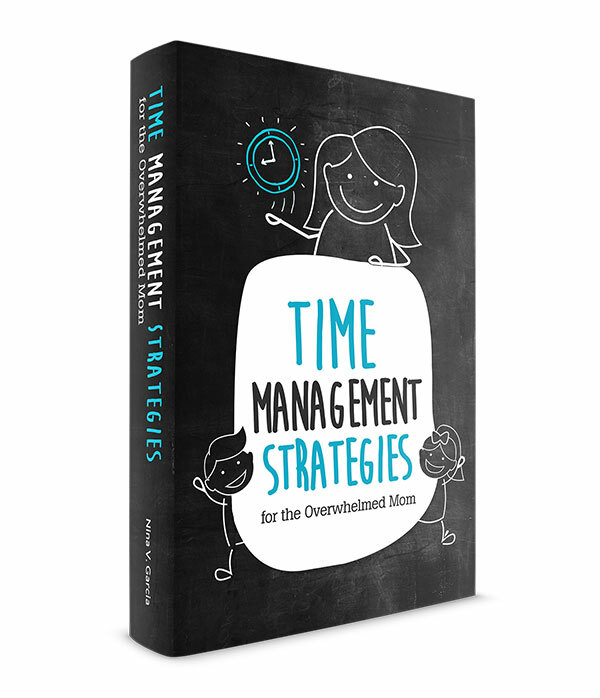 Learn effective ways to take the chaos out of dinner with these tips and enjoy your meals once again. 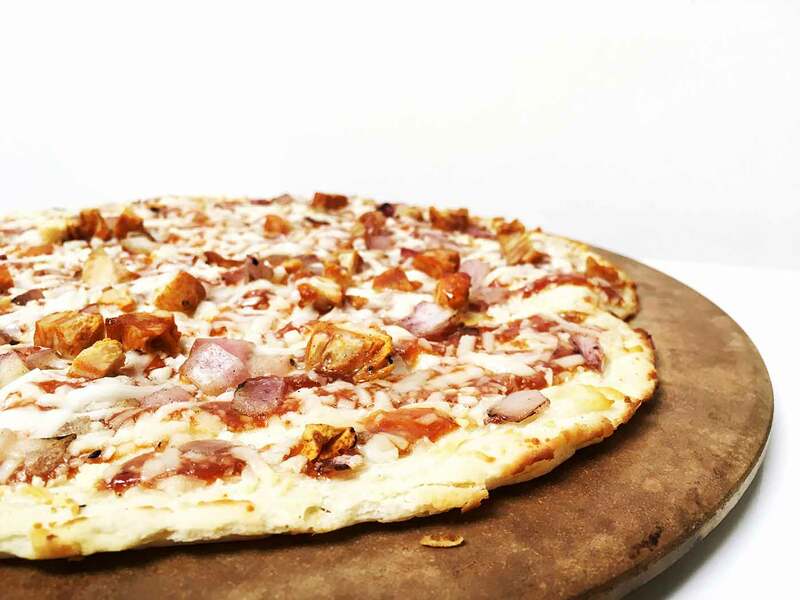 This is a sponsored conversation written by me on behalf of Red Baron® pizza. The opinions and text are all mine. As much as I love family dinners, they don’t always go as smoothly as I hope. First, there’s the mess. Utensils fall on the ground, food ends up everywhere but the plate, cups are spilled. And somehow, my once-pristine dining table gets covered with sticky goo from who knows where. Then there’s the kids being silly instead of eating. Here I am hoping to talk about their school days or hold regular conversations, and instead hear silly words galore. I’m all for laughing and playing, but not always when the food ends up uneaten. And finally, the food battles. They don’t want to eat what I just spent over an hour preparing. Or I’m constantly telling them “no” (seriously, why do kids insist on stabbing dining tables with utensils?!) Sometimes they’re so adamant about not eating that at least one of us leaves the table upset. With three rambunctious boys and eating dinner together every night, I’ve had to learn how to conquer mealtime chaos. To make these mishaps the exception, not the norm. Where we enjoy dinner, take it in stride, and encourage everyone to eat their meals. Before my husband and I had kids, we stuck to a weekly chore list that kept our home pretty darn clean. Furniture was regularly dusted, the bathrooms immaculate, and our carpets looked brand-new. Well… you can imagine how those carpets look now, especially in the dining room. Let’s just say we’ve had our fair share of accidents of all kinds. It’s easy to get angry when kids make messy spills, from flinging spaghetti on the floor to knocking down a cup of grape juice. But, I found that my reaction made the situation worse. I’d often get so upset, huffing and puffing while scrubbing the floor, that I’d forget this is common, especially for kids. That even I make these same messes—but no one gets down on me for it. Now, instead of getting upset, I pause and focus on what needs to be done right away. I’ve taught my kids not to fear my reaction and instead jump to actionable steps they can do. They know to fetch a rag for spills and throw food from the floor into the trash. I’ve also learned that many of these accidents can be prevented. For instance, a splat mat (or even an office chair plastic mat) is a fantastic way to keep high chair messes off the carpet. I’ve also begun to align their cups well away from their plates, reducing the chance of accidentally knocking it over. By preventing many common messes and teaching my kids to be self-sufficient and clean up after themselves, we avoid much of our mealtime chaos. I’ve come to realize that one of my dinnertime triggers is when I’ve spent a long time cooking a meal—and one I know tastes really good—and my kids refuse to eat it. They want to skip ahead to the fruit we usually have with dinner. But I’ve also learned two things. First, having a showdown about meals is not a good way to paint a positive picture of eating. And second, my kids may be adamant about not finishing the entire meal, but they’re pretty willing to take a few bites. I tell them to take just five more bites, and then they can have their fruit. I don’t want to force them to eat beyond their preferences or how much their bodies can take. But I also know how important it is for kids to at least try food before saying they don’t want to eat it. And what happens if they say they’re hungry after fruit? I point to the rest of the food they didn’t eat so they know that’s their only other option at that point. Mealtime chaos is expected when we’re reactive. We’re on standby, waiting to diffuse the next outburst or clean up the inevitable mess. But what if you set aside crisis control and instead focus on holding real conversations with your kids? Now, if you have a baby or a toddler, talking to them can feel silly, as if you’re just talking to yourself. But keep in mind that this is a fantastic way to introduce words, model language use, and get in the habit of talking to them as you would anyone else. And if your kids are older, talking to them shows respect—that you truly care about sharing your thoughts or learning more about theirs. Ask them about their interests, or talk about their favorite part of the day. Focus less on getting food in their mouths and more on using dinnertime as a way to reconnect after a long day. I like to say, “It is what it is,” especially when it comes to mealtime chaos. We won’t always get things perfect, and we shouldn’t even bother trying to. Instead, do whatever works in the moment. Maybe that means using paper plates because all your dishes are dirty in the sink. Or maybe you need to supply your kids with a few dollar bin toys just to get them out of the kitchen. Do whatever works—no one is judging you for the choices you make. I’ll often hear from parents who can’t take the mealtime chaos that they’ll put off their own dinners until after the kids are in bed. 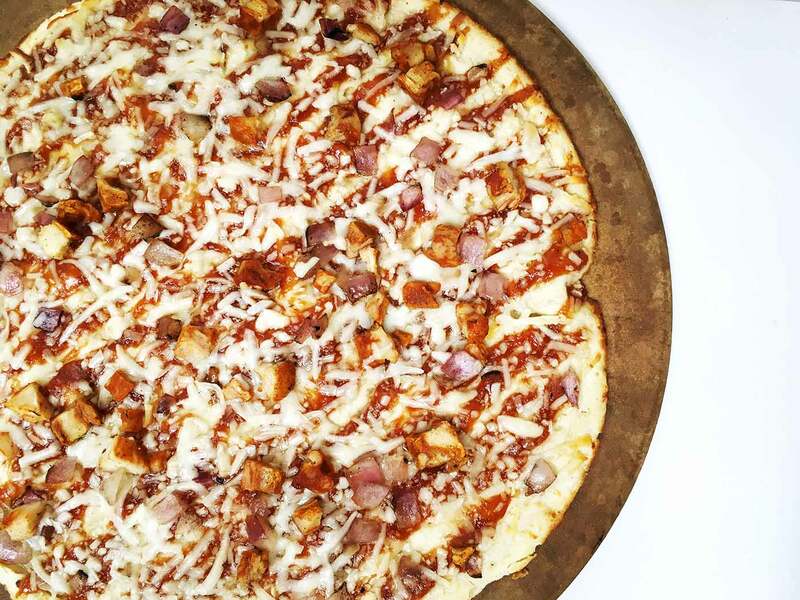 Truth is, dinnertime doesn’t have to feel so chaotic. In fact, you can eat with your kids and actually enjoy your meal together. Dinnertime offers one of the few opportunities in the day where you can all gather together without distractions. 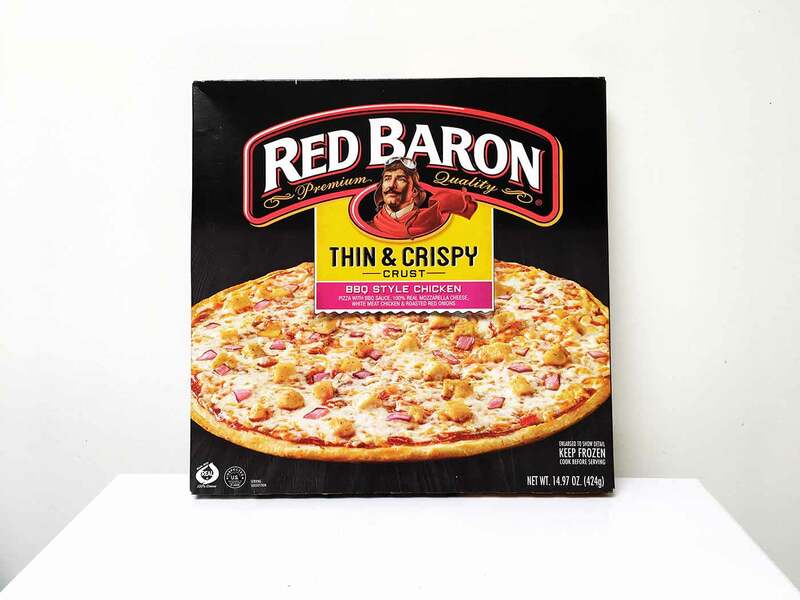 Red Baron® pizza from Target makes this really easy. I keep a few of these stocked in my freezer to make mealtimes more enjoyable. I’m able to spend less time in the kitchen and more time with my kids. For instance, last night was a bit hectic for us. We had one hour between school pick-up and getting the kids to swim class. I didn’t want to spend a ton of time in the kitchen when I knew how limited it was. 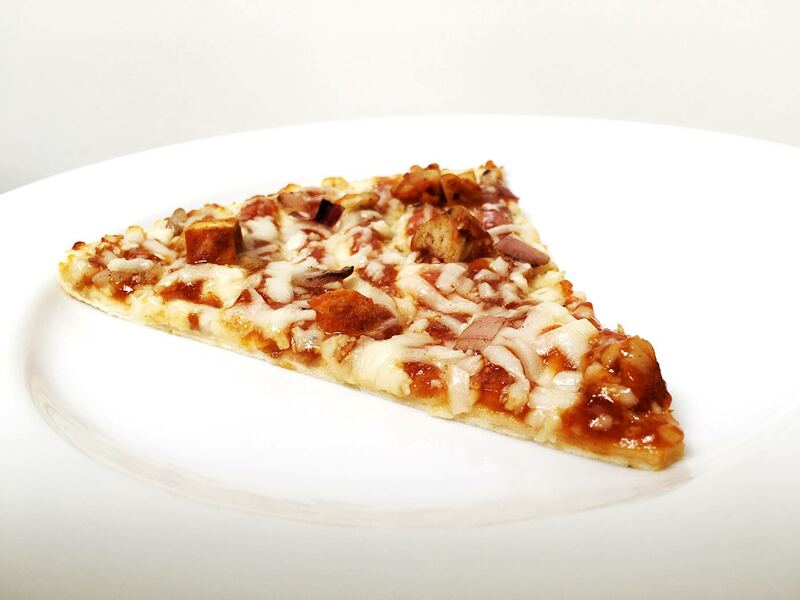 So we had Red Baron® Thin & Crispy BBQ Style Chicken Pizza, to the delight of everyone. I love thin crust pizzas, but can never make them myself, so having these ready to go is often a hit at home. Red Baron® also understands how challenging mealtime chaos can be for many moms. That’s why they’ve introduced The Baroness: the Ultimate #WingMama who helps busy moms find humor in the often-hectic moments of motherhood. She’s earned many patches for the different roles and obstacles we moms typically face and overcome every day. Stain Investigator: Discovered origin of whatever “that” is. 3 More Bites: Successfully negotiated dinnertime crisis. Toddler Translator: Had conversation with 2-year-old. Somehow. Whatever Works: Held up hair with chip-clip, while doing dishes. Eat Your Pizza: Enjoyed dinner with kids. While it was still hot. Red Baron® is hosting an instant scratch and win game online where you can play each day for a chance to win daily prizes! 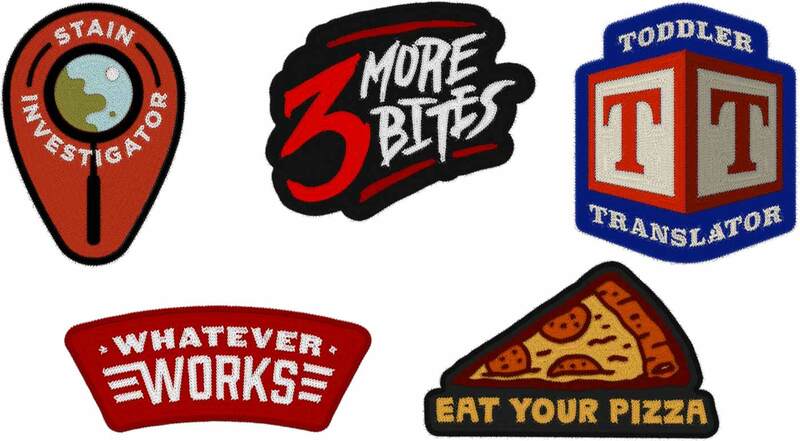 If you find three “Clean Plate Club” patches, you win!